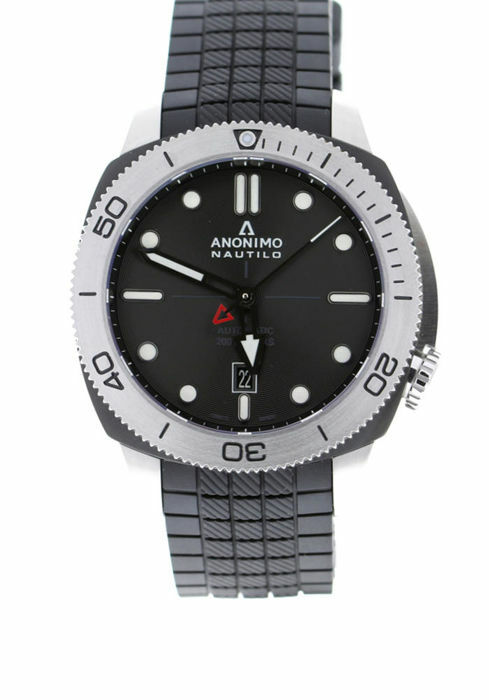 Anonimo Nautilo AM-1001.06.001.A11. 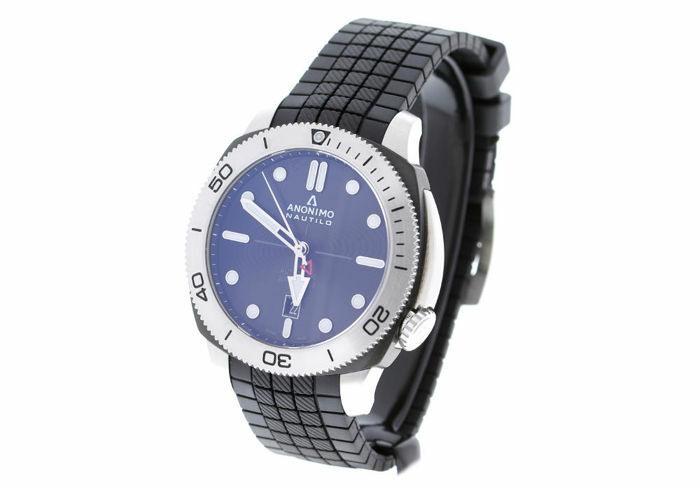 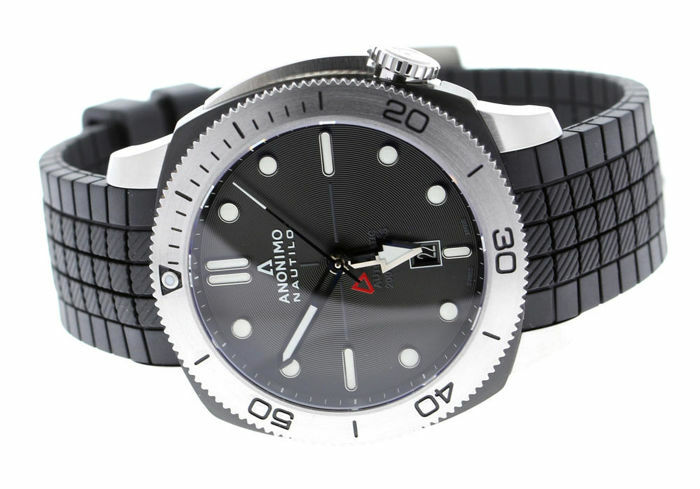 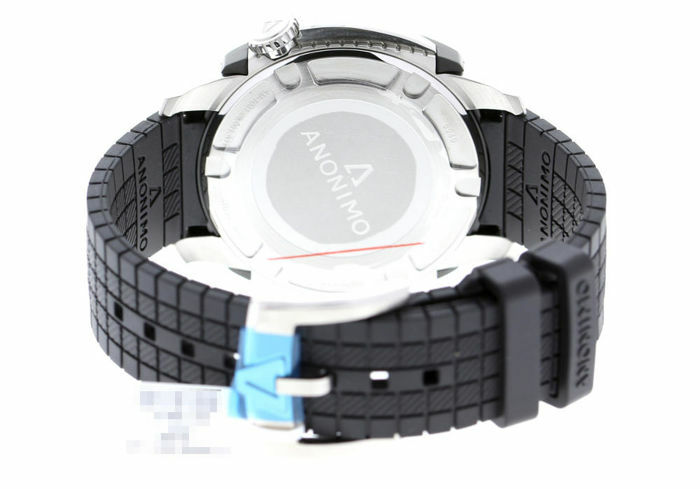 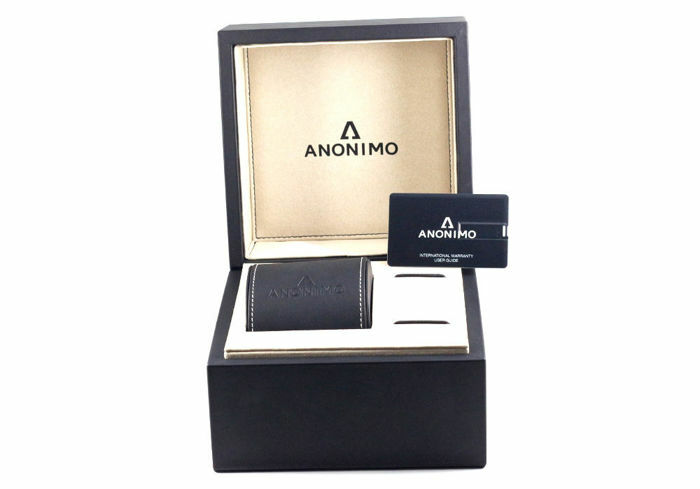 This Anonimo Nautilo watch boasts a striking cushion shaped stainless steel case, a classic black dial and a matching black rubber strap. 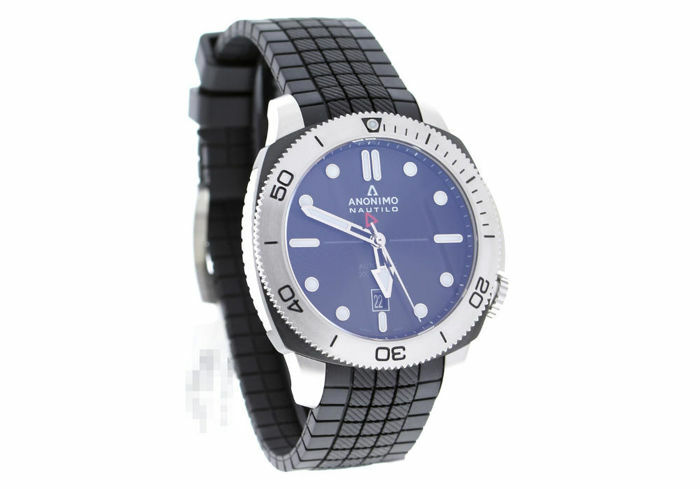 The timepiece is powered by a self-winding mechanical movement known as the Sellita SW200-1 which has been manufactured in the watch capital of Switzerland. 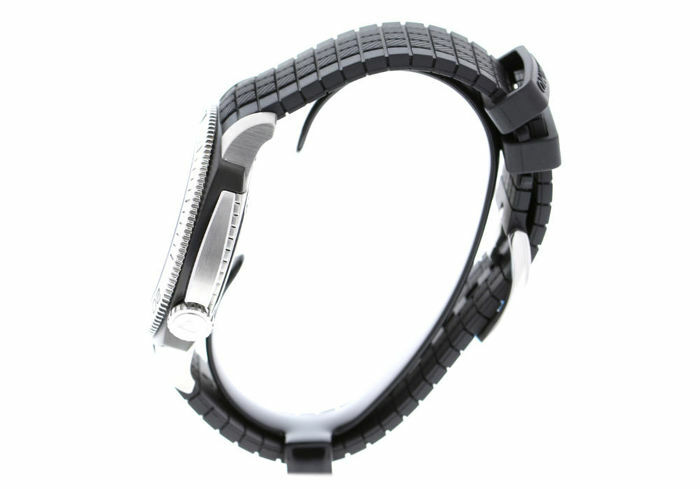 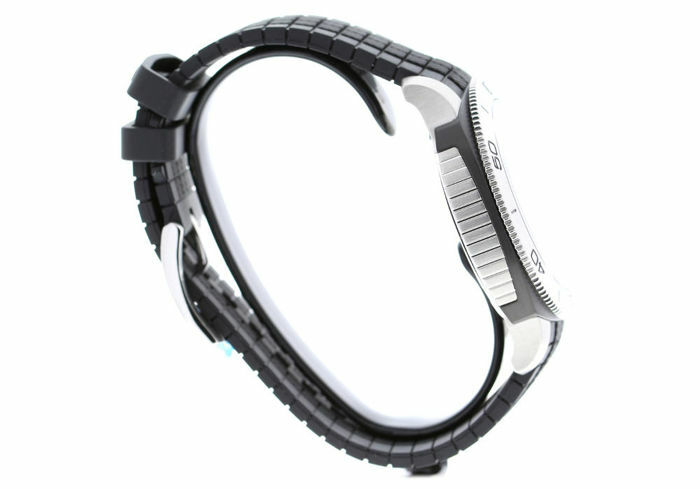 The strap is fitted to the wrist by a classic tongue buckle for easy wear while the Superluminova markers are housed beneath a crisp antireflective sapphire crystal glass for easy readability.